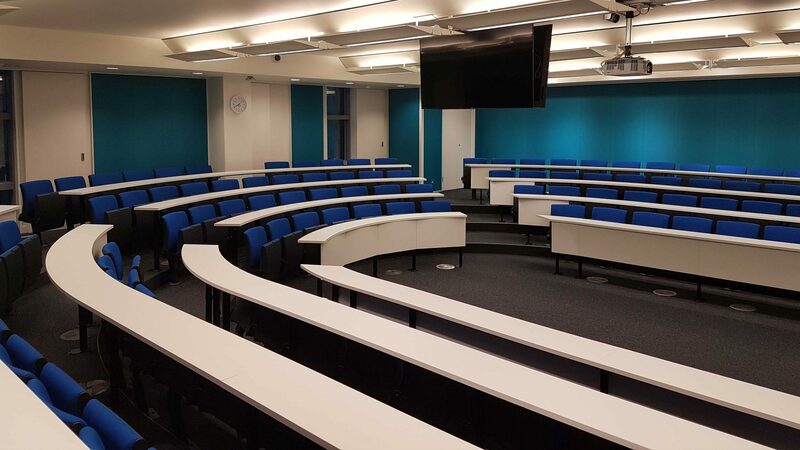 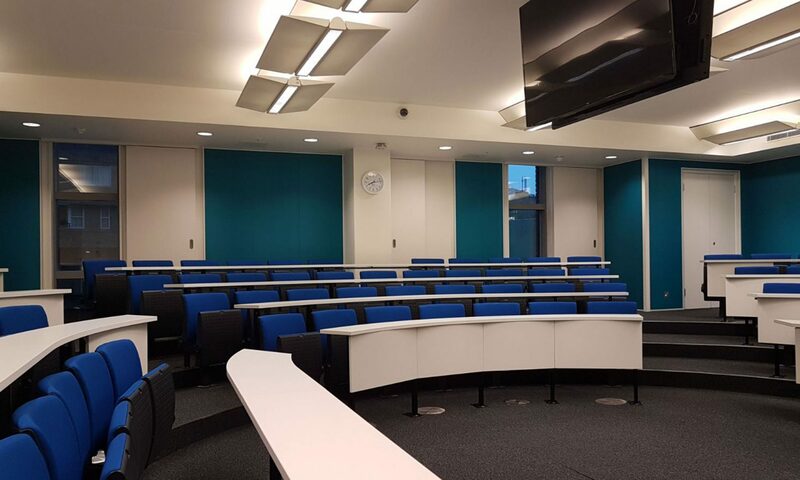 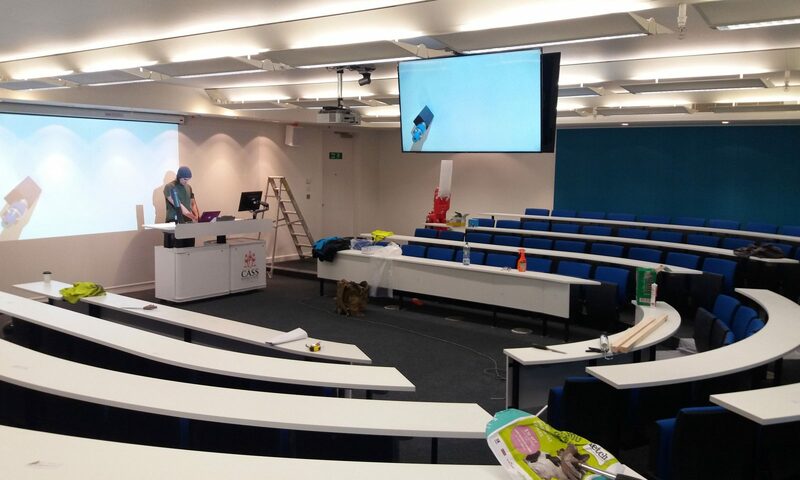 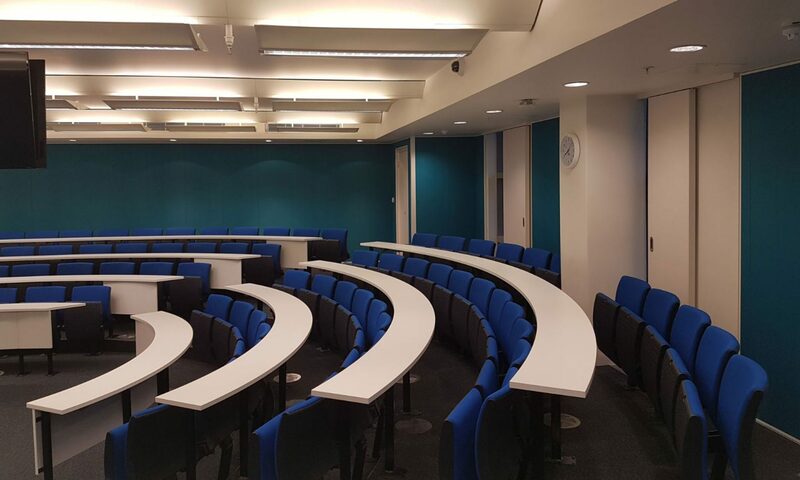 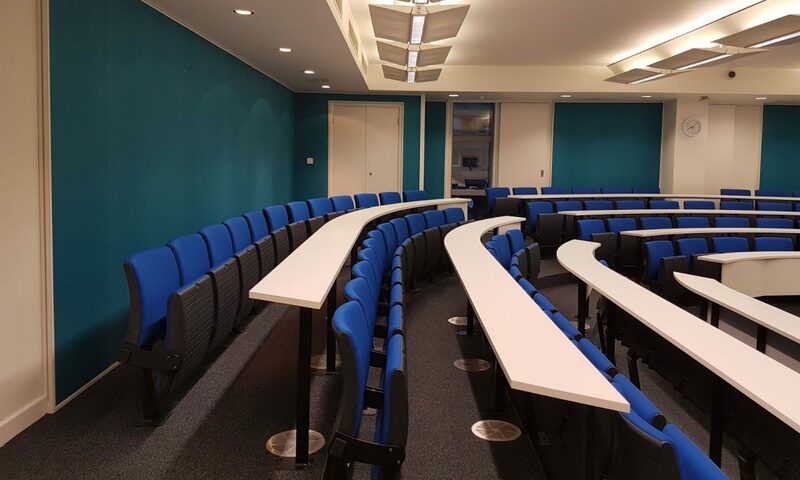 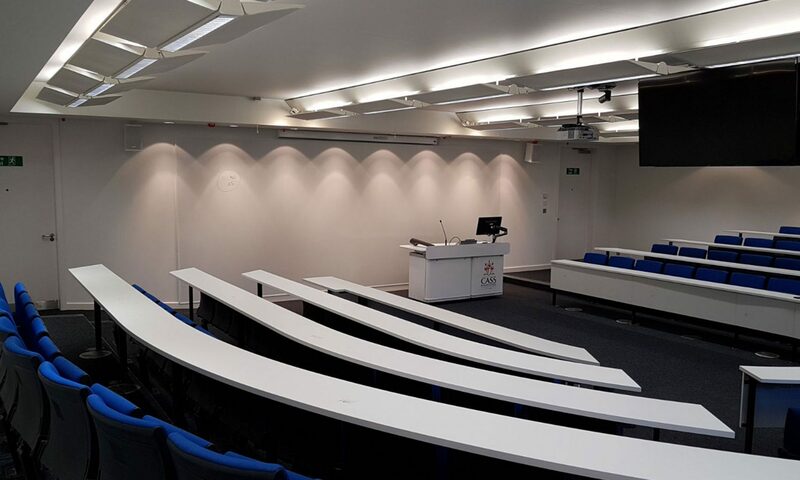 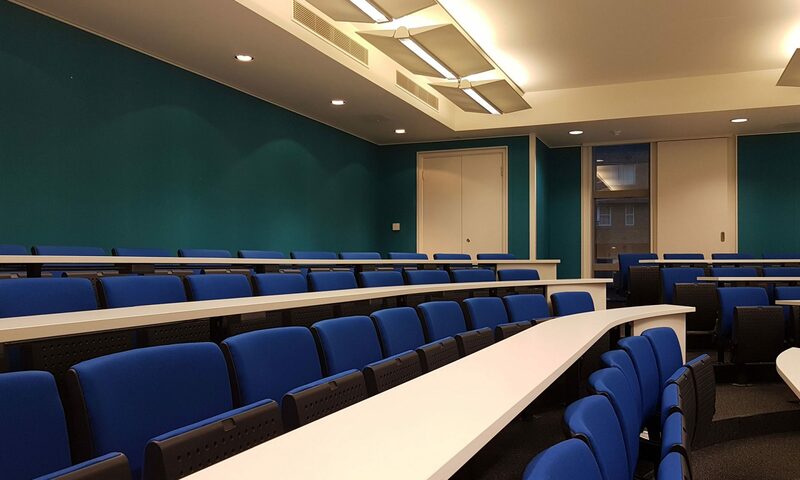 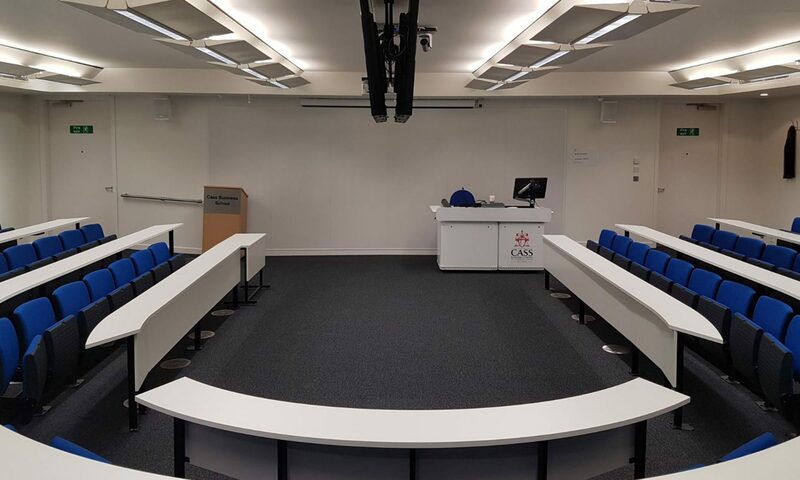 We were proud to work on the remodelling of the CASS 2 lecture theatre on behalf of City University at their Bunhill Row campus. 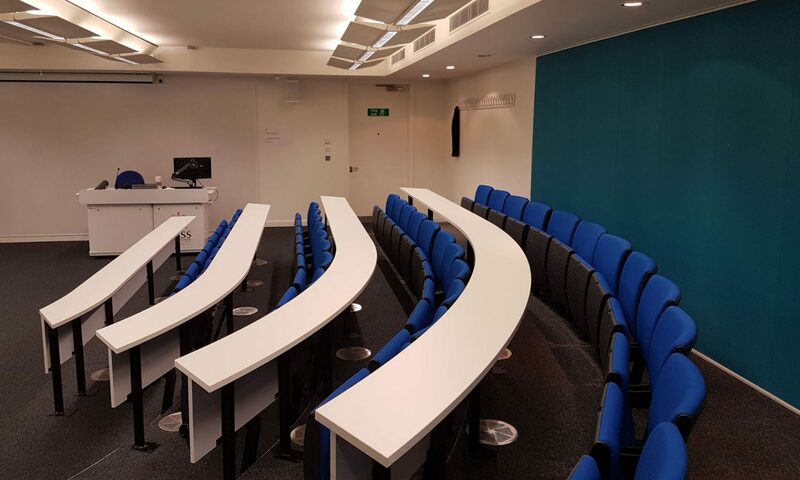 The project included the soft strip and refit of the lecture theatre including M&E replacement and the removal of existing bulkheads and an extraction system and the removal and replacement of existing tiered seating, benches and flooring. 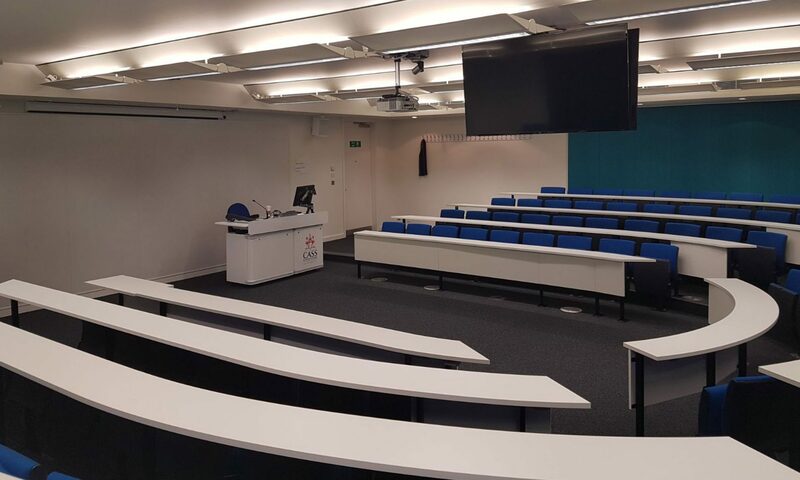 Together with this, we worked on creating new electrical 1st and 2nd fix to new benches, a new independent extraction system with new external louvers, new acoustic panels to the room, and new floor finishes to enhance the student learning experience.